Angela Burke is an associate in the Columbia office whose practice focuses on Regulatory & Government Solutions, Real Estate and Public Finance. Angela joined the firm after serving as Senior Counsel for the Missouri Department of Economic Development, providing legal counsel related to various tax credit and incentive programs, including the Historic Preservation Tax Credit and Brownfield Tax Credit, advised on all aspects of compliance with the Missouri Sunshine Law, and provided legal counsel on government contracts, employment and federal compliance issues. 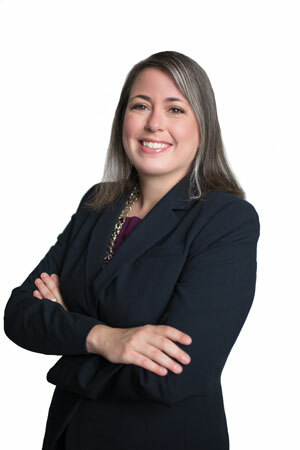 Angela previously served as Deputy General Counsel in the Office of Governor Jeremiah (“Jay”) Nixon and as an Assistant Attorney General in the Governmental Affairs Division of the Office of the Missouri Attorney General. Angela began her legal career as an associate in the Public Finance and Public Law practice group of a major St. Louis law firm. During law school at the University of North Carolina School of Law, Angela served on the North Carolina Journal of Law and Technology.